Do you have to have the tray icon always there to have the xchat notifications ? Or is there some trick to get the notifications without the permanent icon ? 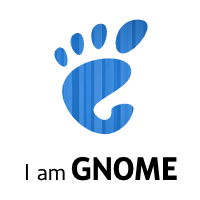 I want a debian based distro with Gnome-Shell very badly! @ocrete You should in fact make sure that “Enable system tray icon” box is unchecked under Settings->Preferences->Chatting->Alerts. That way you will only have an XChat icon in the Messaging Tray when there are new messages. Previous Previous post: OPW Internships are Done! Long Live OPW Internships!